and market a successful Princess Party Business. 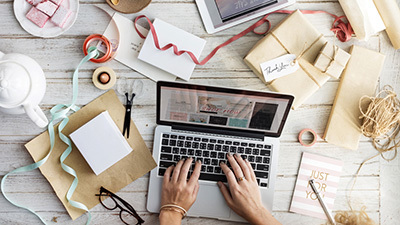 This downloadable training program contains all the information on how to plan a business, run the parties, operate and market the business, plus worksheets, slideshows, digital tools, website template, customer interface forms, video’s and audio coaching recorded by Lisa. It also includes one hour of one-on-one coaching. Your download includes 15 easy to follow modules in an online format. Learn anywhere from any device. You’ll have all the training and ongoing support you need. With 10+ hours of expert training, coaching, and support, The Ultimate Course is full of valuable inside information you won’t get anywhere else. Benefit from all the secrets, trials, and errors I’ve learned running a princess party business for 20 years. 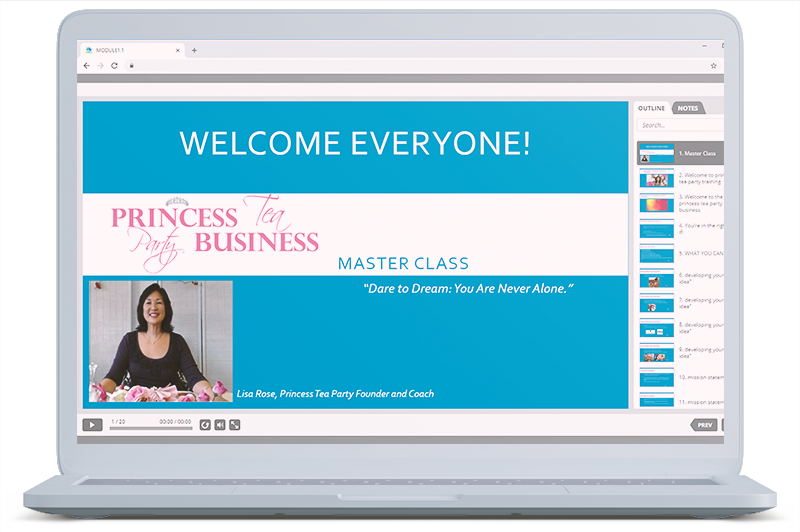 Downloadable training teaches you how to set goals, develop ideas, be creative, and create a business plan for your Princess Party business. Includes all the worksheets, checklists, reading material, videos and photos to begin the initial planning stages of starting your business. 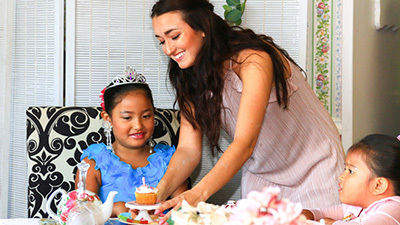 Downloadable training teaches you step by step how to run parties and efficiently operate your Princess Party business. Here is where all the secrets are to satisfy discerning customers, by giving them a quality experience, and leaving children and parents with a smile. Downloadable training teaches you the strategies and techniques needed to cost effectively market your Princess Party business. The Course is full of specific examples of how, where, and when to use social media, print advertising, and community outreach. Teach Children’s Manners and Etiquette with a complete step-by-step Teachers Handbook and Class Instruction Manual. Home based, shared space, sublet, or mobile friendly. 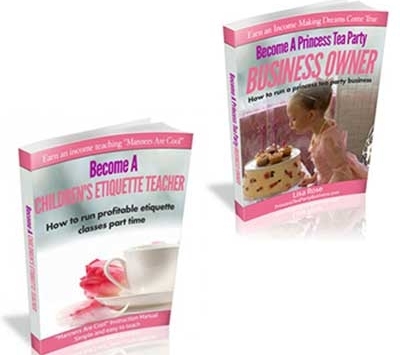 Start your own Party Business focused on Princess Parties with all the information you need to plan, operate, and market your business with Become a Princess Tea Party Business Owner. Both fully detailed guides will leave you encouraged and ready to start earning money right away. Instant access downloads in PDF format. No prior business experience is needed.